This week, pro-life legal group Alliance Defending Freedom released a damaging new report outlining Planned Parenthood’s fraud and abuse of taxpayer dollars. The report outlines how 45 public audits of Planned Parenthood affiliates, along with 57 audits of state family planning programs, found waste, fraud, and abuse to the tune of $129.7 million. In addition to uncovering taxpayer fraud at Planned Parenthood, ADF also discovered that Planned Parenthood has engaged in improper billing with Medicaid, billing in excess of the actual cost, billing for services that were not necessary, and making duplicate bills. Planned Parenthood’s Medicaid fraud contributed to the total amount of all improperly billed federal Medicaid payments in the nation, which equaled $14.4 billion in 2013 alone. 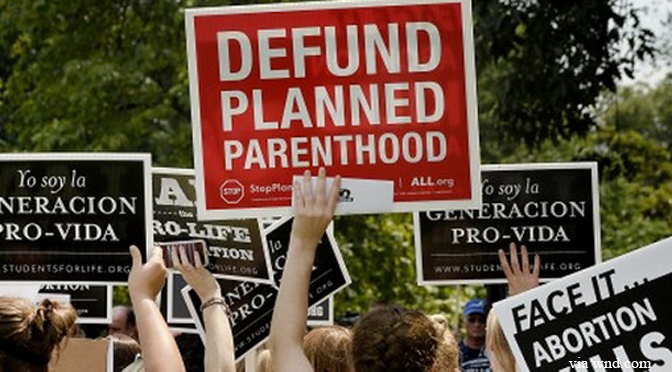 Of course, this is not the first time Planned Parenthood has been caught defrauding Medicaid. •Forty‐five audits found numerous improper practices resulting in significant Title XIX‐Medicaid overpayments of nearly $8.5 million to Planned Parenthood affiliates for family planning and reproductive health services claims. •In combination with the $4.3 million settlement in the Reynolds False Claims Act lawsuit, auditors and investigators have specifically identified Planned Parenthood affiliates as the source of at least $12.8 million in waste, abuse, and potentially fraudulent overbilling and penalties. Former Planned Parenthood employees and others allege many millions more. •Fifty‐seven federal audits of state family planning programs by HHS‐OIG found over $121 million in overbilling, yielding a total of over $129.7 million in overbillings based on audits alone. In the last year, audits limited in location, time frame, and type of service examined have found overbilling, yielding a total of over $129.7 million in overbillings based on audits alone. •Of the 57 federal audits, the federal share of the audited amounts is known for 55; of these, 31 audits found 10% or more overbilling. These federal audits have detailed “unbundling” or “fragmentation” billing schemes related to pre‐abortion examinations, counseling visits, and other services performed in conjunction with an abortion; and improper billing for the abortions themselves. While the discovery of fraudulent and illegal activity at Planned Parenthood is not necessarily surprising for pro-lifers, it is surprising that this could go on without Congress actively knowing or caring. Now that the report has been released, there is no longer any excuse. This is yet another example of Planned Parenthood’s illegal behavior, of which there is seemingly no shortage. Why are taxpayers still being forced to fund this operation? Planned Parenthood lies to women, engages in fraud, frequently breaks the law, and has even been caught killing babies born alive after abortions. While Planned Parenthood likes to claim that they are the only place that poor women can receive health care, this is simply not true. First, Planned Parenthood barely provides medical care to begin with (the number of women they truly serve is dismal), and second, they are vastly outnumbered by actual, comprehensive health care clinics that do provide medical care to low-income women in great numbers. It’s long past time for this organization to stop being funded by taxpayers. Planned Parenthood must be defunded today.